We have been searching for modestly sized large hole beads and we finally found some! These are great for tribal and boho designs. 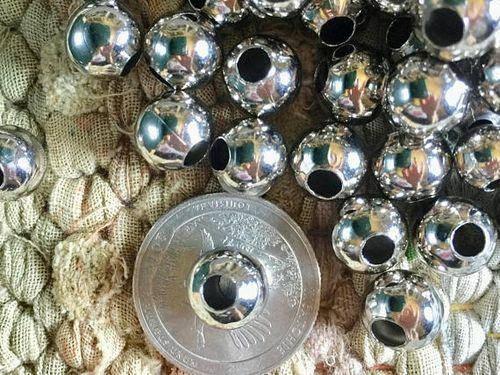 Shiny silver finish on these 10mm round metal beads with a generous 4mm hole. You will get a package of 50 beads. 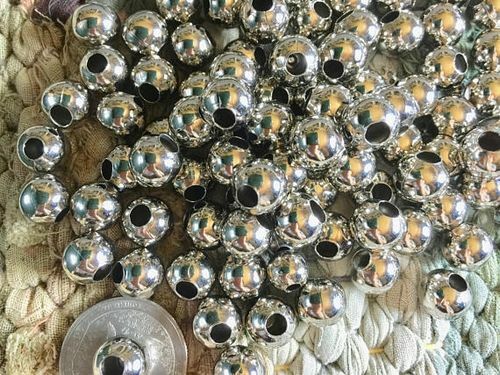 Great shiny silver bead for many jewelry designs including paracord and more!